NBA players use headbands for various reasons: keeping sweat out of their eyes, holding back their glorious hair, or even for hiding an unfortunately poor hairline. 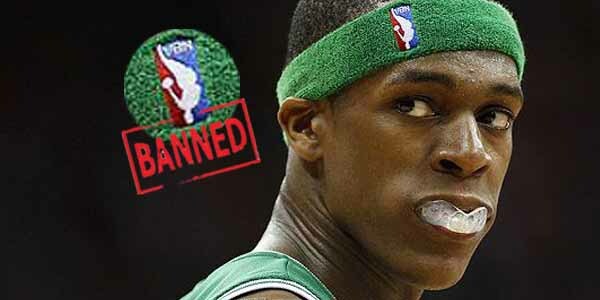 During his time with the Boston Celtics, Rajon Rondo undertook the outlandish act of wearing his headband upside down. In 2010, in a necessary act of swift, unwavering justice, the NBA announced that uniform rules no longer allowed for players to wear their headbands like that.